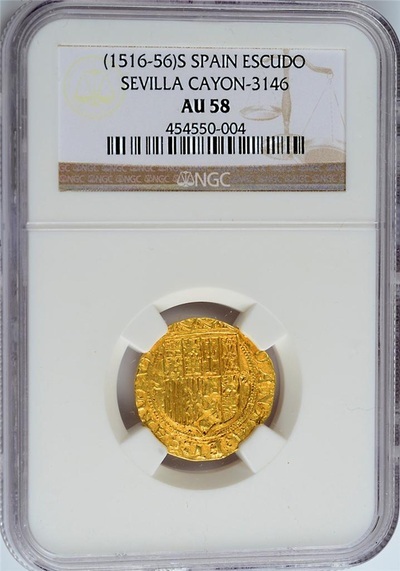 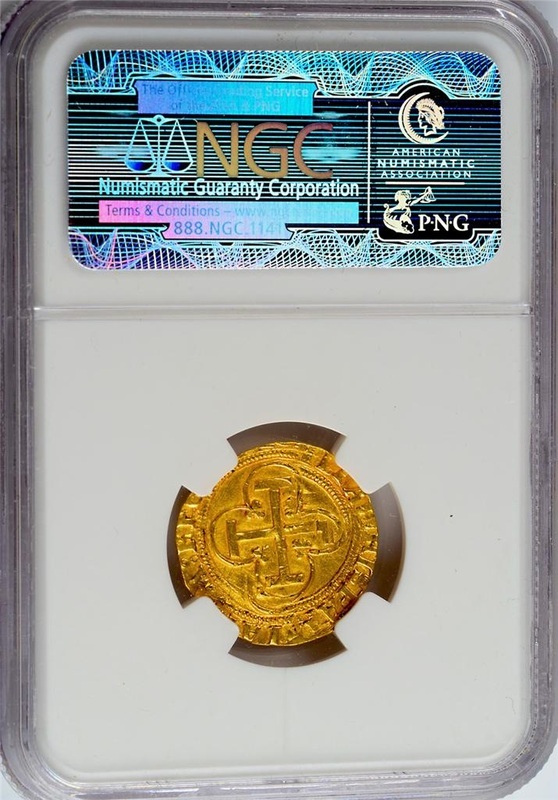 GOLD COB DOUBLOON NGC 58! 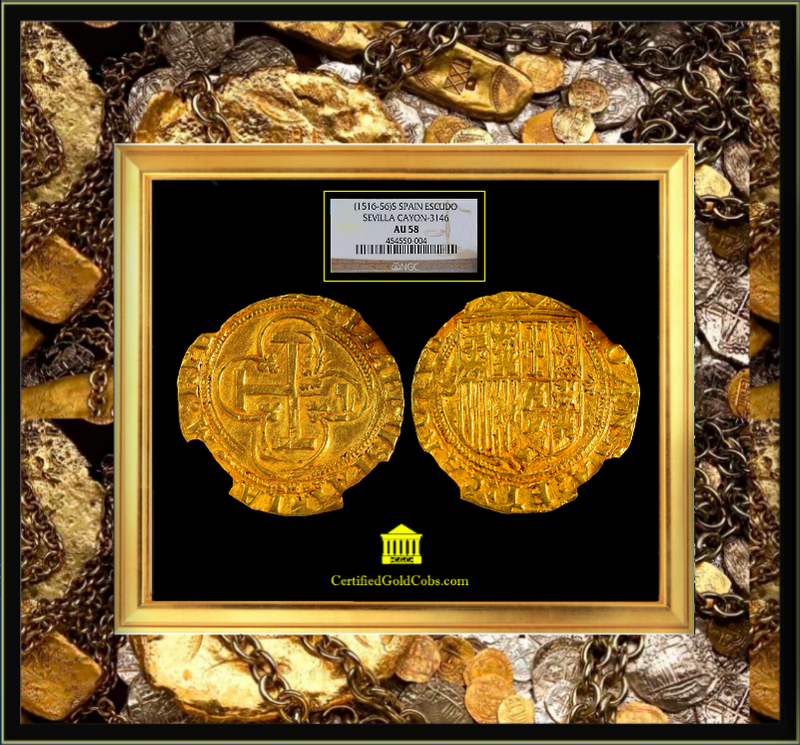 1516-1556 ESCUDO FROM SPAIN "CHARLES & JOANNA OF SPAIN" FR 153 RR MINT - SEVILLA DIAMETER 22mm WEIGHT 3.34gm "CROSS OF JERUSALEM" REVERSE - CROWNED SPAINISH ARMS FLANKED BY "S" SEVILLE MINT. 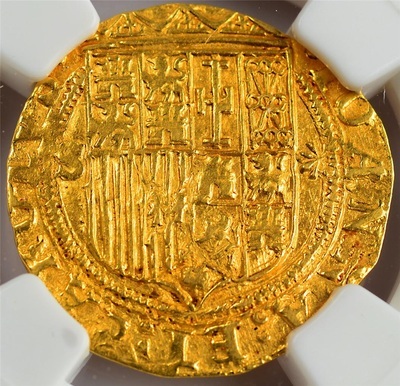 THIS GOLD ESCUDO HAS THE STRONGEST DETAILS I'VE EVER SEEN ON THE LIONS AND CASTLES AND A "FULL CROWN" DISPLAYING ALL POINTS! 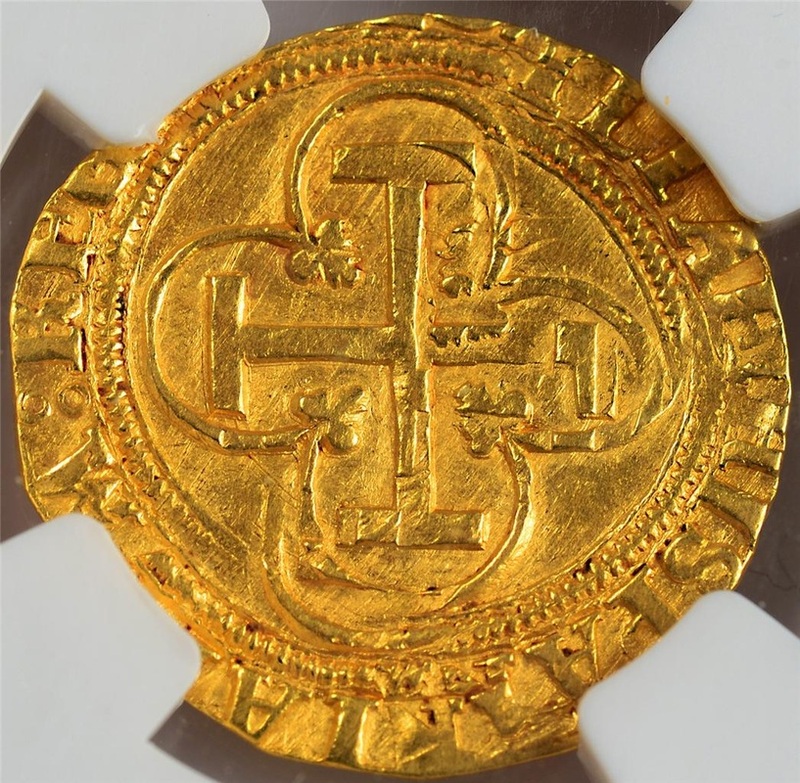 ALSO, THE GOLD LUSTER ON THIS PIECE IS SECOND TO KNOWN THAT I'VE EVER SEEN, COMBINED WITH EXCELLENT CENTERING (RARELY SEEN), MAKES THIS PIECE AT THE TOP OF THE LIST FOR EYE APPEAL THAT I'VE EVER HANDLED ON A 1 ESCUDO! 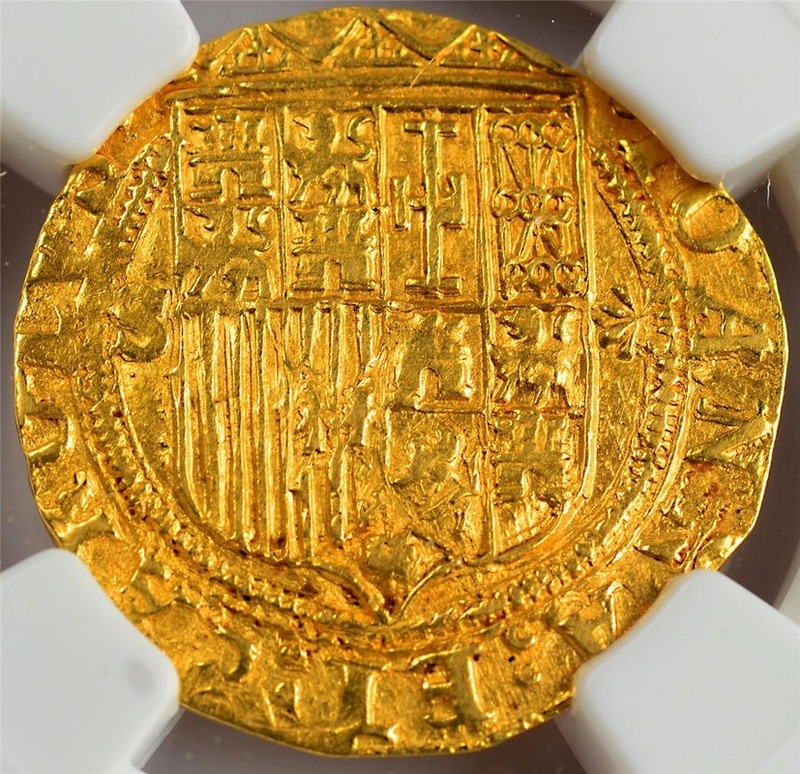 LEGEND (FRONT) HISPANIA RVM REGENS SICIL (CASTLE) BACK LEGEND - IOANNA ET KAROLVS . BOTH FRONT AND REVERSE HAS A VERY NICE STRIKE.